As this blog discussed in a previous post, most Californians do not have earthquake insurance, despite living in the so-called “Ring of Fire” where about 81 percent of the world’s biggest earthquakes occur. Our San Francisco insurance claim attorneys saw some interesting articles on earthquake insurance in recent weeks, and thought it would be a good time to discuss the topic again. The San Francisco Chronicle published an interesting story in July on the issue, answering some policyholder questions about earthquake insurance. 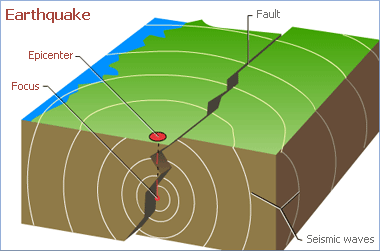 For example, some incidental damage caused by an earthquake indirectly would be covered by homeowners insurance, such as if a fire was started due to an earthquake. Also things such as theft or vandalism due to an earthquake would be covered by homeowners insurance, not earthquake insurance. But most other types of related damage caused indirectly by earthquakes are not covered by homeowners insurance, such as water main breaks that flood your home, or landslides due to earthquakes. Damage from these incidents would be covered by policies issued by the California Earthquake Authority, and not by standard homeowners or renters insurance. Another recent article talked about the practicalities of earthquake insurance in California. In California, a high risk earthquake state, the CEA’s average rates are about $4.50 per $1,000 of coverage. In less risky states, that ratio is more like 50 cents per $1,000. There are other things Californians can do to save money and avoid high premiums, though. The CEA offers a 5 percent discount to residents who retrofit their homes to make them more earthquake resistant, for example. This retrofitting can consist of improvements such as bolting or bracing the structure to the foundation, putting sprinklers in your home, installing metal straps to the walls and roof, or using different trusses. Also, there are discounts for homes built after 1979, when stricter building codes were enforced and for wood frame houses, because wood houses hold up better in earthquakes than brick or masonry. Another thing to think about when deciding about earthquake insurance is that some insurance only covers the structure of the house, not the personal belongings inside. More comprehensive cover may be required if you want the contents of the house to also be ensured against earthquake damage, which will likely come with a higher premium. There is also additional insurance that can be bought to cover temporary housing and other basic needs after a disaster. As San Francisco insurance claim lawyers we know that one of the most important things policyholders can do is understand their policy and know basic things, like the name of their insurance company and the contact information in case of an emergency. It might be a good idea to have that information on hand, like in a card in your wallet, and keep an inventory of your belongings in a safe place. Insurance is supposed to be there for you in these situations and your time of need, but even if you are prepared and informed, sometimes unscrupulous companies may try to avoid paying what they owe. If that happens, an California insurance lawyer can offer much needed assistance.